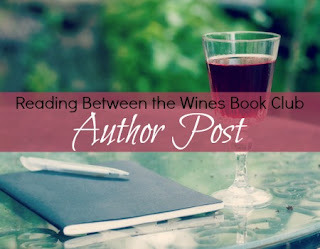 Reading Between the Wines Book Club: Romantic Gestures for Real Life with Sarah Ballance of The Three-Week Arrangement! Romantic Gestures for Real Life with Sarah Ballance of The Three-Week Arrangement! I’m by no means an expert on romance, but after nineteen years of marriage, I think it’s safe to say my husband and I have established our own definitions of what constitutes a romantic gesture. It might be a sad truth, but after a couple of decades together, these are mine. 1. After you shave (which admittedly is a gesture in itself), do me a solid and pick up the hairballs off the floor. I saw one recently I thought was a mouse, which made me scream. The kids laughed. Not cool. 2. If you’re going to ravage me in the middle of the night, get up in the aftermath and bring me some ice water. You woke me. If anyone has to step on a Lego on the way to the kitchen in the dark, it should be you. 3. Take out the &#@# trash. 4. When I ask what’s for dinner, say “Whatever you’d like.” I’d like not to cook. Awesome, thanks. 5. Snoring. It’s one of the most romantic gestures of all, because then I get to kick you, and that’s often therapeutic for reasons that have nothing to do with my eardrums or my ability to sleep.